The average household in America owns two cars. That ratio has made for a whopping 269 million cars on our roads. America’s vehicle obsession stems from a deep-rooted yearning for the freedom to go where you want, when you want to go there. Cars allow us to achieve that end. If you’re among the people that rely on cars to get to the places you need to go and also are among those who want your car to exude luxury, you may be in the market to purchase a luxury car. While most luxury cars are expensive, the good news is that you can purchase used luxury cars that are every bit as good as their new counterparts. To help you with your used luxury car buying journey, below, our team has put together a list of buying a used luxury car tips you should keep in mind! Luxury cars are more than just mechanical feats of engineering. They’re also incredible technological achievements. Today, cars that are in the luxury market have an advanced network of computer chips and sensors weaved through their systems that are excellent at detecting errors both when they’ve occurred and just prior. To make sure that you’re not purchasing a car with a pre-existing condition, be sure to have your used car dealer run a full diagnostic scan on your luxury vehicle before driving off of the lot with it. 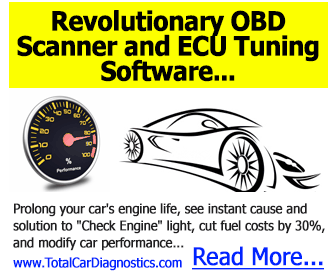 Note that just because the check engine light isn’t on does not mean that your car is working fine. The only way to be certain that you’re getting what you think you’re paying for is to run a proper scan. Air suspension is a great feature in luxury vehicles that can significantly improve the performance of a car and add to the comfort of your ride. That being said, in used vehicles, air suspension is one of the prime culprits when it comes to problems and results in costly repairs. As air suspension systems age, many used car owners have reported untimely leaks or outright system failures. The costs involved with repairing those issues often outweigh the benefit air suspension brings to a ride. For that reason, if surprise maintenance costs have you worried, we recommend avoiding air suspension or buying an extended warranty to cover yourself against potential issues. 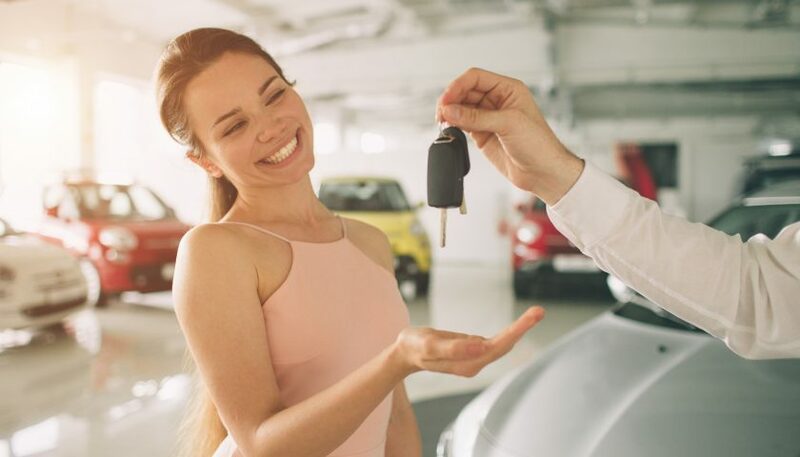 A PPI or “pre-purchase inspection” is when you pay a nominal charge (typically $100.00 or so) to an experienced technician who will look over the used vehicle you’re hoping to buy from top to bottom. With a technician’s help, you may be able to uncover thousands of dollars worth of issues which you can then bring up when negotiating a price. Given the amount of investment buying a used luxury car represents, it’s not worth it to skimp on a PPI before taking it off of the lot. Once you drive your car away, unless it’s under warranty, you’ll be on the hook for any issues that show up after. It’s not uncommon for previous owners of luxury cars to extensively modify their vehicles. Those vehicle modifications are often done with cheap 3rd party parts which can undermine the integrity of the car or void its warranty. Keep in mind that not all dealers are as honest as this used BMW dealership or other organizations that truly value your business. Some are just looking to make a sale by any means necessary and to that end, may fake ignorance when it comes to mods. If you’re not a car expert and will have trouble recognizing changes made to a vehicle when buying a used luxury car, bring along a friend who has a better-trained eye. That or hire a technician to accompany you to the dealership. Modern luxury cars pull a ton of power to ensure that all of its components are working inside and outside of the car’s cabin. Because of that, the battery in a luxury vehicle is under a lot of stress. While not a problem with a new car, with used cars, all of that power drain may lead to you inheriting a battery that’s in bad condition. To ensure you don’t drive off the lot with a battery that’s going to need changing in a couple of months, watch out for flickering lights in your car, components that work sporadically or any other funny business that is electrically related. If you notice these things, ask that your dealer replace the battery or reduce the car’s price. If your luxury can is outfitted with all of the best bells in whistles, try them before buying. Some used car dealerships may fail to mention malfunctioning features. Your best defense against that is to see for yourself if everything works and ceaselessly ask questions. The more you experiment with your car before buying, the more confidence you can have when driving it off of the lot. It’s no secret that dealers have wiggle room in their pricing. To make sure that you A) Get the best deal possible and B) Don’t blindside your dealer with incredibly low-ball offers, it’s important to get educated before buying a used luxury car. Great places to start getting your education on pricing, are via browsing local dealerships and noting sticker prices or by tools like Kelly Blue Book and True Car to see what average used cars in the make/model you’re seeking out go for. The better prepared you are before purchasing your car, the smoother your luxury car buying experience will go. Sure, it may seem like you can afford the luxury car of your dreams… But can you really? In addition to the higher purchase price that comes with buying a used luxury car, you’ll also have to worry about other miscellaneous expenses. Higher maintenance bills. More expensive parts. A more expensive variety of gas. Higher insurance rates… the list goes on. Do your best to come up with a monthly estimate on what it’s going to cost to keep your car on the road post-purchase. Be sure to include everything from gas to maintenance and tags in your calculation. Once you come up with an honest number on how much buying a used luxury car is going to cost you throughout its life, ask yourself, “Can I really afford this?”. If you have ground to make up on your monthly expenses as far as car ownership goes or if you’re just environmentally conciseness, you can make an impact on both of those fronts by opting for a luxury vehicle that runs on electricity, diesel fuel or has a hybrid engine. Talk to your used luxury car dealer to see what options are available. Ask them to help give you a better idea on how much you could save by opting for traditional fuel alternative cars. At the end of the day, the number one thing that you’ll want to keep in mind when buying a used luxury car is who you’re buying it from. Luxury car sales can represent a huge profit opportunity for dealerships and to that end, many sellers will do anything they can to get you to take a car off of their lot. Tactics can include misinformation, non-disclosure of information or just a lack of interest in getting you into a vehicle that’s going to best suit your life. So talk to friends and family members to see if they have quality dealer recommendations. Take to Yelp, Google, and Facebook to read reviews and see what people are saying about the dealer you’re considering doing business with. The more thorough you are in your dealer selection process, the more confident you can be in the car you take off of a lot. Luxury cars are a significant investment for buyers. That being said, they also represent a ton of value in the amount of joy and convenience they can bring to an owner’s life. To get the best deal on your next luxury car purchase, we recommend opting for a quality used vehicle. We also recommend leveraging our buying a used luxury car tips above. Each of them will help ensure that you end up driving off of a lot without buyer’s remorse! Want more of the best information on buying a used luxury car and on other general vehicle tips? Are you looking for auto repair manuals for the car you own? No matter what your car needs are, our experts at Motor Era have you covered. Check out more of our content today!